Hope you're all enjoying the holidays. Let's keep that Christmas spirit going a little longer by chatting with a fab author. Say hello to Debra Purdy Kong. Welcome, Debra. Tell us a bit about yourself. I've had a love of books since childhood, when the bookmobile used to come to our neighborhood every three weeks with a busload of books. In grade 7, I volunteered in our school's library, and forty years later, life still seems most natural with a book in my hand. I have a diploma in criminology, but preferred to write about crime and criminals rather than work in corrections or related fields. I put myself through school by working as a secretary. After graduation, I sold my car and spent a year traveling and working in Europe, where I kept a journal, wrote long letters home, and began my first short story. I wound up working for a firm of solicitors in London, England, and sharing a flat with an aspiring singer/actress, who loved my writing. By the time I came home, I knew I wanted to be a writer, but I also knew it would be a long time before I made a living from it, if ever. So, I returned to secretarial work, then married, had two children, and continued writing whenever I could. I still love it; probably always will. The European trip happened in 1979, so I've been writing for most of my adult life. Fifteen months ago, I signed a contract with TouchWood Editions, and left my part-time job, working in security (which turned out to be great book research) to write fulltime. It's been the best fifteen months of my life! Tell us about your books. What are they about? I self-published two mysteries that feature a young tax auditor, who stumbles into murder and finds himself in way over his head. Both books are centered around white-collar crime. For the first book, Taxed to Death, it's fraud, and in Fatal Encryption, it's computer sabotage. My new series features transit security officer, Casey Holland. 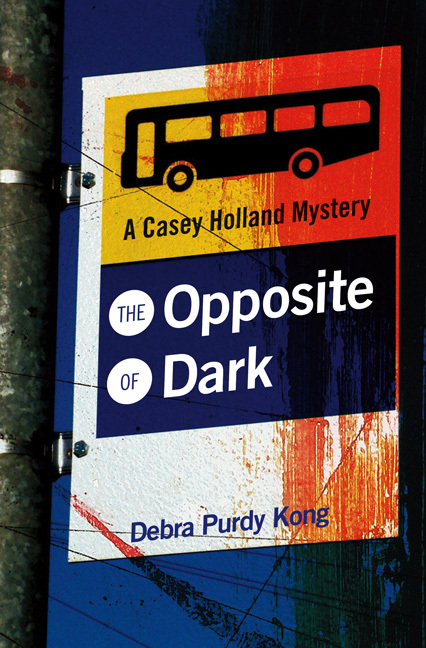 In the debut novel, The Opposite of Dark, Casey is told by police that her father's been murdered, however, she buried him in an open-casket ceremony three years earlier. The story, needless to say, is all about family and how the past we thought we knew isn't always the whole story at all. What happens in that book sets the tone and helps readers understand what drives Casey in future novels. The second instalment, Deadly Accusations, will be released in March 2012. How did the idea of the stories come to you? My Bellamy novels came out of my secretarial experience while working for a firm of chartered accountants. One day, I was having lunch with articling students and talking about mystery novels, and one of them said, "How come no one writes about us?" And I thought, yeah, why not? Because a lot of the C.A.s I met certainly didn't fit the stereotype. The idea for my Casey novels also grew out of a work experience many years ago. I was doing temporary work for the bus company many years ago, when I learned that the company employed undercover security officers to catch thieves, perverts, vandals, and so forth. I thought this was a great idea for a character. After I published Taxed to Death, I began my first Casey novel, but it took a long time and twelve drafts before The Opposite of the Dark came to light, so to speak. I have all three, actually. A critique group of writers, none of whom write mysteries, yet they offer a unique perspective. A colleague is currently reading the fourth Casey novel straight through for continuity and pacing, which really doesn't work in critique groups. I also do a lot of self-editing! 80% of my writing is actually editing. I hear you! What’s the hardest part of writing for you? The hardest part is tackling the second draft. I like to write a book straight through, and although I have an outline for most of it, there's still a lot I need to change and it feels like it takes forever to make those changes in the second draft. I have to have something to drink: coffee in the morning, tea in the afternoon, decaf green tea or peppermint tea in the evening, or a glass of water. Picking up the mug is my way of pausing to think about a sentence or paragraph I've just written which I'm not sure about. Well, I don't know if it's a super power, but I'd have endless energy! I need some of that, lol. Quick writing test! Use the following words in a sentence: subway, rhinoceros, and candy machine. Desperate for a Milky Way, the rhinoceros charged through the subway and crashed into the candy machine. Why do the Madagascar movies come to mind? LOL. Here’s the part where you thank the people who are supporting you. Let's hear your shout outs. I'd love to give a shout out to the wonderful reviewers and readers who've taken the time to say they like my books. And a huge shout-out to my critique group who've been so amazing over the years. All of my books are available on amazon.com, amazon.ca. Taxed to Death and Fatal Encryption are available on Kindle, and The Opposite of Dark is available at iBooks and on Kindle. Link to reviews and book trailer for The Opposite of Dark can be found here. Debra, thank you so much for chatting with us. Your books sound great. Good luck with all your writing! Hopefully you're all in good spirits, despite the hustle and bustle of the season. In keeping with being jolly, let's get to know magnificent writer Susan Schreyer. Welcome to We Do Write, Susan. Tell us a bit about yourself. I live in the great state of Washington and love the fact that wherever I look (when it's not cloudy) I can see mountains. I'm married -- twenty-one years now! -- have two almost-grown children, a rabbit with an attitude and a horse with an enormous number of fans from all corners of the planet. I love to laugh and wish I didn't have to watch my weight. Oh -- and my favorite color is green. I think you've covered all the bases with that answer! How long have you been writing? I started seriously writing mystery novels about 6 years ago, although like pretty much every other writer I've had the inclination all my life. Tell us about the Thea Campbell mystery series. What are the stories about? 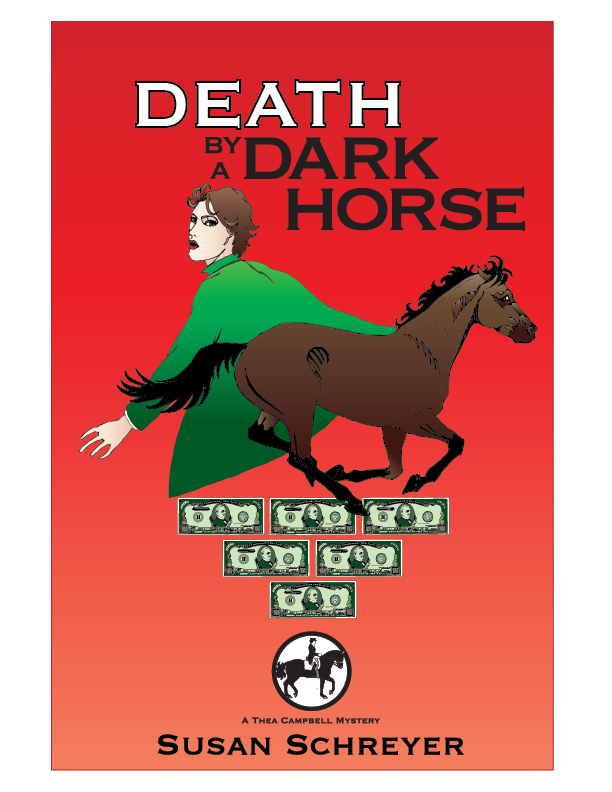 Death By A Dark Horse is the first of the Thea Campbell Mysteries. They take place in the real life town of Snohomish, Washington -- the antiques capital of the northwest -- and are "cozy-esque." I use that term because all the stories take place, at least in part, in a small town setting and involve people who know each other. However, the stories have been described not only as mysteries, but as suspense and romantic thrillers. Are they totally serious? Heck, no! Thea, the protagonist, as well as her friends and family, often show us the humor in life. 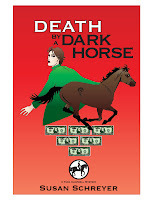 The major plot line for Death By A Dark Horse kept me up nights. Seriously. I wanted to write a mystery and all the advice I read said, "write what you know." My life is decidedly unmysterious, and I have no experience with solving murders. However, I do know horse people -- having been born that way -- so my thinking ran along the lines of what kind of situation would be so compelling to a horse owner that they simply had to become involved? Once I began writing the first story the characters took over. They weren't done with me. Story ideas won't leave me alone any more. Yes! To everyone of those! I have several trusted critique partners who are accomplished writers in their own right, but I have a rather thorough self-editing process I go through before I hand my work over to them. All writing takes effort -- time, patience, willingness to learn craft and learn from others who have gone before. You learn quite a lot about yourself from the processed of discovering your own best method for working, and that self-discovery is not easy. The most difficult thing for me to learn to do was to be openly honest about emotions. Not only does it take an effort to admit to some of them, but you have to experience them as you write as well. If you don't, if you make a "best guess," or skirt an issue, your readers will know. So you have to feel the love, the fear, the anger -- all of it -- if your readers' emotions are going to be touched, too. I would be super organized. That would make my life so much easier. On the other hand, flying would be great fun. Quick writing test! Use the following words in a sentence: cave, umbrella, and irresistible. Exploring the cave held an irresistible appeal for me from the moment I saw the bats, although the actual act of venturing inside caused me to wish I'd equipped myself with an umbrella and worn hip boots. Very nice sentence! Here’s the part where you thank the people who are supporting you. Let's hear your shout outs. First, my family -- my husband and kids, my parents and sister and the whole lot of you. Then there are my writing friends, MK Windham, Lisa Stowe, Mary Buckham, Anne Christensen, Lisa Harris, the whole Sister in Crime Puget Sound Chapter, The Guppies Chapter of SinC, and last but never never least all the wonderful readers who have enjoyed my books and taken the time to tell me, their friends or both. Love you all! Apple, Kobo and Sony have them as well. Susan, thank you so much for stopping by and chatting with us. It was a pleasure getting to know more about you and your books. It's snowing where I live! What is it about the snow that makes the cold winter chill bearable? While we ponder that, let's cozy up with another spectacular writer. Please welcome Elizabeth Isaacs. Hi, Elizabeth! Welcome to We Do Write. Tell us a bit about yourself. I am an elementary music teacher by day, writer by night. I have two teenagers and two crazy dogs, and I live in Kentucky. I know it’s cliché, but it seems I’ve been writing my entire life. I’ve just been too chicken to let anyone see my stories. It wasn’t until I started helping underprivileged students with their writing portfolios that I found the courage to share my work with the world. Sounds awesome! Tell us about THE SECRET OF THE KEEPERS. What’s your story about? 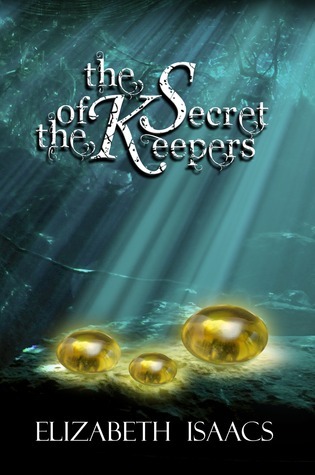 The Secret of the Keepers is the second in the Kailmeyra series. 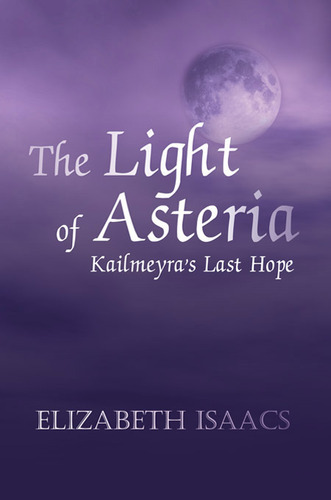 The story starts right where the first book, The Light of Asteria, leaves off. Life for Nora couldn't be better; she has married the man of her dreams and loves living in the pristine land of Kailmeyra. That is, until the darkness threatens her perfect world. Now war is upon the land. She and Gavin must strengthen their clan and prepare to fight. But the enemy has an ally—one that not only wields power, but holds knowledge of the ancients' secrets. Secrets that could destroy creation itself. As the darkness grows, doubt seeps in ... protectiveness hinders progress ... and the unthinkable comes to pass. Bewildered and alone, Nora shoulders the responsibility of leading an entire race to war. As she struggles with decisions that seem impossible to make, she is haunted by one choice. "No one has ever doubted that you would die for those you love. The question then becomes ... would you live?" Amazing! How did the idea of the story come to you? I still haven’t figured that out. When it comes to plot, I make an outline of where the story should go, but I also allow the characters to have their say. The Secret of the Keepers was the strangest writing experience I’ve ever had. No one in my head wanted to follow the outline. Literally every character screamed at me at one point or another that we were headed down the wrong path. Toward the end of the book, the plot took a turn that I never imagined. I didn’t want to write it. I warred with my imagination, demanding that we should stick with the outline, but that inner voice insisted we go in a different direction. I finally gave up and allowed instinct to take over and couldn’t be happier. Sharing the work when it’s done. Writing is intensely personal. It is my imagination written down for the world to see. It’s hard for me to be that vulnerable. Any tips you’ve learned about writing you’d like to share? I’ve learned that every word must be there for a reason, show-don’t-tell really does work, and passive sentences jerks readers out of stories faster than you can say “Bob’s your uncle”. A cold glass of iced tea, and absolute quiet. I’d love the ability to read others’ thoughts. I know it’s not the most glamorous, but it would save a lot of time and effort if I knew what people really wanted to say. Quick writing test! Use the following words in a sentence: important, belly dancer, and investigation. Knowing how important she was to the investigation, Heath sighed and made his way through the horde of belly dancers. Hehehe, what an image! Here’s the part where you thank the people who are supporting you. Let's hear your shout outs. I’d love to thank my content editor, Corina Vaccarello, my line editor, Tracy Riva, cover designer Neil Noah, and my writer buddies, Hope Collier, Mindy Ruiz, Megan Curd, and Trisha Wolfe. 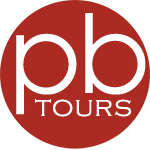 Most importantly, though, I’d love to thank the many bloggers who spend tireless hours reading and reviewing, interviewing and hosting tours and giveaways. If the publishing industry has become the Wild West, then bloggers are the gold everyone’s rushing to find. I couldn’t begin to thank them for their unwavering support. Elizabeth, thank you so much for chatting with us today. Your books sound great, and I wish you tons of success! Today we're talking with a fabulous writer who has a great story to tell about wanting to tell a story. Sound good? Then let's get right to it. 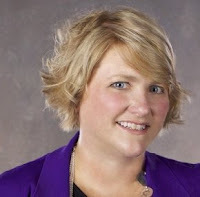 Welcome Jenny Milchman to the blog! Hi, Jenny! First of all, I'm dying to know. Tell us about your amazing journey to getting your first book contract. As Dorothy hints at, my journey to publication was, um, not easy. When I began there was no Kindle. There was hardly any email—I snail mailed queries to agents. The publishing world changed while I was in the midst of trying to get published—we’re talking about a span of eleven years—thirteen if you count the two I spent learning to write (better). Because I was lucky enough to have a strong agent in my corner pretty much from the beginning, there really wasn’t a gap in which I might’ve said, “Is this worth it? Do I want to keep going?” We kept getting interest in my work from editors, and so during those eleven years I was either revising a book, writing a new book, or looking for a new agent. By the time I got my offer, I was working with my third (and hopefully forever) agent, who was submitting my eighth novel, to the sixteenth editor who wanted to make an offer. (Fifteen editors before had been turned down by their boards). And it still wouldn’t have happened without the help of one angel author, who read my unpublished novel, was kind enough to say she loved it—and put it in the hands of her very own editor, who bought the book in a heated flurry (can flurries be heated?) that still brings tears to my eyes when I think of it. Which is often. Anyway—I know those are high numbers. Clearly it doesn’t take every (or even most) writers that long to break in. But at the same time, the message I want to give is that if it is taking you a long time, that doesn’t mean you won’t make it. Traditional publishing is not for everyone, but if it’s your dream, hang in there. Dreams can come true—even after a very long time. A worthwhile fight to your goal, I'd say. Wow! Tell us about COVER OF SNOW and OUT OF NOWHERE. What are the stories about? COVER OF SNOW is my debut novel. It will be out in early 2013. It’s about a woman who wakes to find her police detective husband missing from their bed. The book takes place in a fictional Adirondack town in the middle of winter. OUT OF NOWHERE—which I hope will come out either second or third—is in some ways the polar opposite. It’s about a family that goes on a much needed vacation, and runs into a mad man from the husband’s past. This book takes place in northern California in summer. But both are literary thrillers, and I think they’re joined by things like the pacing and the emphasis on relationships in the stories. In COVER OF SNOW, Nora has to race to find out who her husband really is. In OUT OF NOWHERE, Emily has to race to make it back to her child. Revising. Hands down, no question. When I am writing a first draft, I live in a stunned kind of bliss. Every aspect of my day is filtered through the joy of the writing. I am sometimes mile-less miles away—miles that can’t be measured physically—from where I really am, alive in the world of my book. It’s like in Stephen King and Peter Straub’s THE TALISMAN, where you flip from one world into another. I don’t breathe a word about what I’m writing to anyone before the book is finished. It’s hard even to give a pitch sentence or two to my editor and agent. My husband—who knows everything about me and is my first critiquer—doesn’t even know what I’m working on. I don’t like for people to know so much as the title. When I get to ‘the end’ I do as good a rewrite on my own as I can…and then I hand the manuscript around. And lo, if anyone has any constructive comments to make (and of course, everyone has constructive comments to make—how could they not), beware. Oh, I am bad. A brat. I stomp around. I complain. I say I can’t possibly fix it. I whine. My kids would be shocked that anyone can act that badly—and kids aren’t easily shocked by bad behavior. Finally, I do mellow out, apologize, and express intense gratitude for the incredibly cogent, helpful points I’ve gotten. In my new editor’s case, her latest suggestions were positively brilliant. But that initial shock after being partnered alone with my story for so long is definitely the hardest part of writing for me. Hmmmm…that’s a good one. The process is so different for everyone. Some people begin a book without planning a word or scene in advance, others know what’s going to happen on every single page before the book even starts. I guess my first tip would be about tips—don’t necessarily take them. I think tips should be assessed by the writer individually: Will this other writer’s approach work for me, or do I have to tap into something that will work better? But I do have one tip, which I think is pretty universally good to follow. It comes from a talk I saw given by screenwriter Richard Walters who said the #1 mistake he sees writers making is submitting their work too soon. I know I was guilty of this myself. The first novel I queried with was 180,000 words—unpublishable. And so this is one of the first things I work on with students—that we all have a tendency to think our work is ready before it is. I think this is because we are so close to it. It’s very hard to imagine the range of responses people might have who weren’t involved in the creation. I need things to be neat and uncluttered. I’m afraid I’m a little freakish that way. The converted closet in which I write novels (as opposed to doing work on the net, blogging, email) has a few special items in it. They come from a range of people in my life, but I don’t have one thing from every special person yet. That’s a collection I hope to build. So far there’s a photograph of my parents taken on a boat, a decoupage bottle my daughter made, a set of tiny hand-painted stacking dolls from my brother, a collage my sister made, a bowl from my husband’s stepmother, and tiny pot that could go in a dollhouse (I love miniatures). What a collection! If you could have any super power, what would it be? Oooh, another good one! My daughter says she’d like to fly. I agree that would be cool. But I think I’m OK with the senses and powers we’re given. It’s hard enough to learn to use them in the best possible way, to do the most good, and try and give to others, not as a superhero, but just as a human being. Quick writing test! Use the following words in a sentence: lightning, magnifying glass, and teddy bear. The flash of lightning illuminated things for a moment, convincing Audrey that the tiny clue was hidden in her teddy bear’s fur, although she didn’t have a magnifying glass to prove it. Well, my husband definitely gets one. He not only has to find all the ways to make those first drafts better—but as I described above, he doesn’t always get appreciated for it, at least not at first. My husband has done almost everything but write the novels—he got me my first book on learning to write, he encouraged me to join writers groups, he made me hang in there when things were dark. My kids deserve credit too, for giving me the time and mental space in which to write, even when they were teeny tiny. There’s also my brilliant editor, dedicated agent, and that angel author, without whom none of this would be my happening. Plus many other authors who supported and tried to lift me up during the last of those eleven years. And last, but far from least, are all the writing and reading friends I’ve met at conferences, in classes, on the web, on listservs and forums and FB and Twitter and blogs and Amazon and Kindle boards and GoodReads, who have become a second sort of family to me. I’m also on Facebook and Twitter—please come find me and I will find you back! It was great talking with you, Jenny. I look forward to reading your books, and I wish you tons of success. I'd say you deserve it! 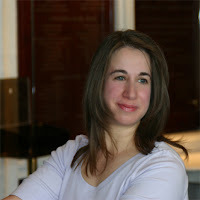 Jenny Milchman is a suspense writer from New Jersey. 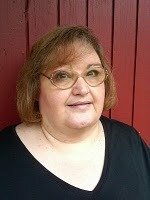 Her short story ‘The Very Old Man’ has been an Amazon bestseller, and another short piece will appear in the anthology ADIRONDACK MYSTERIES II in fall 2012. 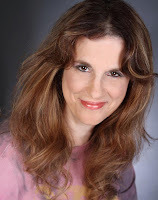 Jenny is the Chair of International Thriller Writers' Debut Authors Program. She is also the founder of Take Your Child to a Bookstore Day, and the Made It Moments forum on her blog. Jenny teaches writing and publishing for New York Writers Workshop and has designed curricula to teach writing to children. Her debut novel, COVER OF SNOW, will be published by Ballantine in early 2013. Happy Friday, Blogosprites! Hope you've all survived the week. 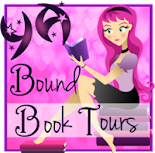 What do you say we meet another fabulous author? Is that a yes? Okay, then say hello to Natasha Salnikova. Hello, Natasha! Tell us a bit about yourself. Well, I'm Russian. I was born in Kazakhstan and later moved to Moscow. I came to America ten years ago. In Russia I was a TV host, a TV writer for one of the biggest networks, and a novelist, among of other things. Now I write books and also articles for a Russian newspaper based in Miami. I've acted in a couple of TV commercials here and even independent movies. I live in beautiful Fort Lauderdale, Florida with my husband, twin daughters and a dog. Cool, what an amazing life! How long have you been writing? I'd say for about 20 years now. Wow, that's a lot. Professionally for about 15. But that would include TV scripts and articles for a local newspaper. I started with scripts for prime-time TV series and grew into novels. Fiction gives so much more freedom for creativity, unlike scripts. Most of my books are thrillers. And their subgenres are psychological, supernatural. I enjoy developing interesting characters just as much as plot, and all of my novels have some level of psychological tone to them. 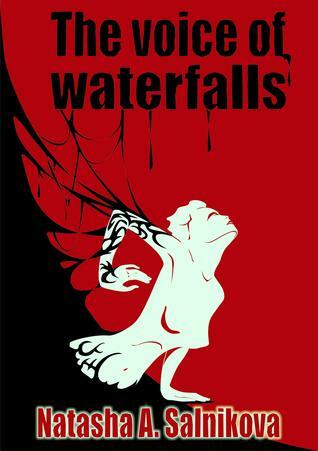 Some people call my recent novel, The Voice of Waterfalls, a horror. If it is, it wasn't intentional. I think horror and comedies are very difficult to write. It's very difficult to scare people or make them laugh. All my books are written in Russian and I translate them. So far two of them are out and I'm almost finished with the third one. How did the story ideas come to you? Ideas always come unexpectedly. Quiet River is actually based on a real story. Part of it. The Voice of Waterfalls was "born" in the car. I was driving, there was a car in front of me with one of the back lights flashing the whole way. And I thought, what if there is somebody in the trunk? What if the driver is helping that person, not kidnapping her? What if he's not what she thinks? The novel was supposed to be about werewolves but I'm glad I changed that idea. For one of my novels, the idea came from a dream. That kind of stuff also happens. The writer's head is always on the idea hunt. So true! Do you have a critique group/partner or beta readers, or do you self-edit? I have a group of Russian beta readers but not of English speakers yet. I do not self edit. English is my second language and my grammar is terrible. Nanci Nelson Rogers, a wonderful editor, helped with my second novel and she reedited the first. Legal parts. I try to avoid involving police but sometimes it's not possible. Also the end of the story. No one wants to disappoint readers at the end. Nothing else is hard, really. A cup of black tea and chocolate. That's it. I'm simple. I need my caffeine and sugar. Healing, absolutely. There are days when I think about it. I hate when somebody close to me is sick and I can't do anything to help. Being invisible would be fun! Quick writing test! Use the following words in a sentence: paper cup, parrot, and opera house. The opera house was dark, so no one saw a dead parrot by an empty paper cup. LOL, interesting. Okay, here’s the part where you thank the people who are supporting you. Let's hear your shout outs. There too many so I just mention the closest. My mom, of course. She's my first reader and my best friend. My husband. I came here ten years ago because of him. My kids. They are the best. My friends for believing in me. Especially Katia and Ulia. And Nanci, my editor, for doing a tremendous job with my novels. I have two books for sale now. They also can visit my Facebook page for latest news. Natasha, thank you so much for chatting with us. I wish you lots of success with your books! Do svidaniya! What? Middle of December already? How did that happen? While we ponder the mysteries of time flying, let's indulge in an interview with a wonderfully talented writer. 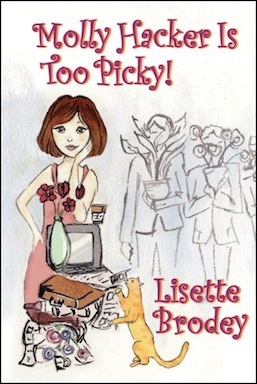 Say hello to Lisette Brodey. Welcome to We Do Write, Lisette. Tell us a bit about yourself. First, thanks so much for having me as your guest today, Dorothy. I’m originally from the suburbs of Philadelphia, PA. After high school, I moved to New York City and lived there for ten years. A whole lot has happened since those days, but I now reside in the Los Angeles area. During my career, I have worked primarily in the entertainment industry but also for many years as a resume specialist and freelance writer. I don’t remember not writing. From the moment I learned how to write, I was writing poems, songs, and stories. Tell us about MOLLY HACKER IS TOO PICKY! What's the story about? Molly is a thirty-two-year-old reporter from the old-money town of Swansea, a fictional bedroom community of New York City. After years of dating and a broken engagement (and matching broken heart), Molly sets out to find true love. But she is proudly picky, and despite her determination to get married, settling is not on the agenda. She vows never to attend another wedding until she is a bride, but that’s tricky because her younger sister, Hannah, is engaged to be married in a year. In no time at all, Molly has four suitors and the memory of her lost love to send her befuddled, overanalytical mind into serious exhaustion. 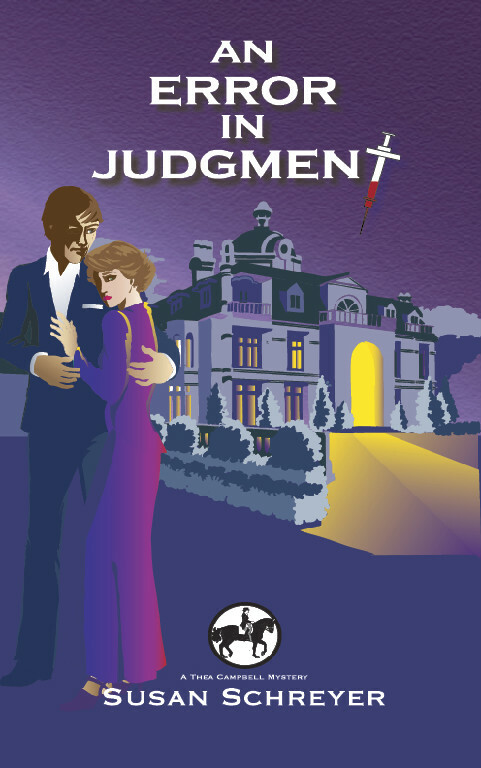 As if that weren’t enough, the town’s most visible socialite (and Molly’s nemesis), Naomi Hall-Benchley, is determined to interfere in Molly’s life in the most nefarious of ways. Molly Hacker Is Too Picky! takes the reader on a yearlong romp through Molly’s mind and a joyride through her life. Molly’s dating life, town secrets, a group of quirky, crazy characters, and Naomi’s machinations collide head-on at a holiday gala that will change the social landscape of Swansea forever. As the New Year rolls in, Molly gets earth-shattering news. Can she go on? Will life ever return to abnormal again? Sounds like a great read! How did the idea of the story come to you? I wanted to write a book in the women’s fiction genre and it was important to me to create a heroine with whom people could identify. While marriage-minded Molly meets several suitors, each with potential, the men are very different from one another. I wanted to write not only about the life choices that we make, but also about how confusing it can all get. It was also important for me to touch upon the friendships that women have, and how sometimes the most well-meaning friends (and not-so-well-meaning associates) can interfere in a burgeoning or established romance. But above all, I wanted to write a book with lots of humor and warmth. Written in the first person, the book lets Molly speak to her readers as if they are close friends. I understand you've written two other books. What are they about? Squalor, New Mexico, which has nothing to do with the state of New Mexico, is a coming-of-age story set in the northeast United States during the 1970s. The heroine, Darla McKendrick, first hears her mom and her aunt talking about their sister, Rebecca, an aunt she has never met, when she is nine. Darla’s curiosity about Rebecca never wanes, and as the years pass, the family mystery takes center stage in Darla’s life. The plot takes twists and turns, and secrets are revealed not only to Darla but to the “secret keepers” as well. Darla learns that families are only as strong as the truths they hold and as weak as the secrets they keep. Crooked Moon is the story of two childhood best friends, Frankie and Callie, who reunite after twenty-three years, having lived drastically different lives. After so much time apart, their lives come crashing back together one hot, unsettled summer. Tensions and passions explode in the sweltering heat, and amid pain and tragedy, each woman ends not only up with a life-altering secret regarding the other, but the burning question of what to do with it. Great question. While I am writing, I am on a very solitary journey. I don’t want input from anyone before my novels are finished. As I write, I edit each chapter over and over so that it is as “clean” as it can be before I move on. The goal is not to end up with a sloppy first draft that has to be seriously rewritten. Once I am finished, I will then edit it several times myself, each time looking for different things. For example, I will do one edit simply to get rid of unnecessary words, phrases, paragraphs, etc. After the book is in the best shape possible, I give it to a professional editor. After she returns it to me and I have incorporated her notes and corrections, I then give it to beta readers. Another great question. The hardest part about writing, for me, is figuring out what scene I want to write next. It is always important for me that every scene advance either the plot or the character. When something isn’t working, I always ask myself, What am I trying to do here? If I can’t answer my own question, I scratch what I’ve written and start over again. I’m always at peace when I know exactly what I want to do. Then I happily write. Sounds practical to me. If you could have any super power, what would it be? Just one? Well, it would probably be to beam myself to different places. There are so many people that I care about who are scattered all over the world, and to suddenly have no tangible distance between me and my loved ones would be incredible. Quick writing test! Use the following words in a sentence: hula hoop, boa constrictor, and mandatory. The CEO and president of the company issued a nationwide alert to let all employees know that it is mandatory to wear protective gear when substituting a boa constrictor for a hula hoop during recreational breaks. Hehehe, awesome. Here’s the part where you thank the people who are supporting you. Let's hear your shout outs. Oh, my goodness. There are SO many people, and I don’t want to neglect anyone. So, I’ll give you the VERY short list, but there are so many more I would love to include. In random order: Charles Roth, Laura Daly, Talatha Allen, Lisa McCallum, Stuart Ross McCallum, Leigh Ann Wilson, Marta Moran-Bishop, Sheri A. Wilkinson, Megan Hansen, Christy Leigh Stewart, Debbie Banks, Janet Lee, LK Gardner-Griffie, and Laura Schultz. Squalor, New Mexico is available in both paperback and Kindle editions on Amazon. In addition to Amazon, all of my novels are available on Kobo.com, Apple, BN.com, and many more. 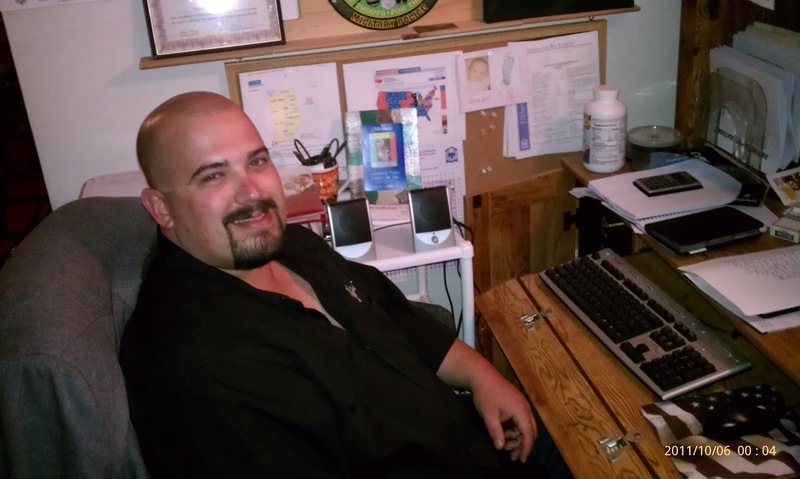 Updates about all of my novels can be found on my Facebook author page: www.facebook.com/BrodeyAuthor. Thanks so much for chatting with us, Lisette. I wish you lots of success with all your books. Thanks for a great interview, Dorothy! Today we're chatting with writer Linda Barton. Linda was born in Dortmund, Germany in 1959 and was adopted by Howard and LaVone Broyles while they were stationed in Spain with the Air Force. As a child she had always loved writing and often dreamed of being an author, but never truly acted upon that dream until later in her life. She has worn many hats over the years from data entry operator, hair stylist to over the road truck driver, but the burning desire to be an author was always there. Welcome to We Do Write, Linda. How long have you been writing? Tell us about NEXT MOVE, YOU'RE DEAD and PURE JUSTICE. What are the stories about? 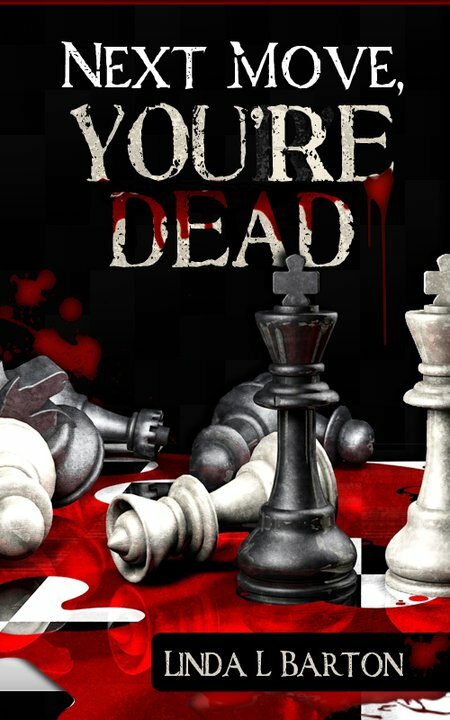 Next Move, You're Dead is the story of a Philadelphia Homicide Detective in a battle of death with a strange caller who causes him to question everything he's ever believed about his training and himself. Pure Justice is the story of a Marine who on his return from Vietnam with his two best friends to find his whole life turned upside down when his friends are horribly murdered and those who committed the heinous crime escape justice because of a corrupt legal system. He then decides to assure his friends receive justice for their deaths and this act starts him on a new mission ... to assure the innocent finally know justice for the crimes committed against them. I'm working on the second installment of the Next Move, You're Dead Trilogy and having a great time doing it. I have a great editor, Nanci Rogers who goes through my books and makes sure they're clean and ready for the readers. I also have wonderful family and friends who help with proof reading. Getting the time to do it. My schedule has been rather crazy the last few of months, but hopefully things have calmed down and I can get back into writing regularly. What's the last thing you Googled? Quick writing test! Use the following words in a sentence: enemy, gift certificate, and testimony. It was a wondrous gift to watch the fear in the eyes of my enemy when the testimony in his murder trial created a vision of his own death certificate to form in his mind. I want to thank my husband and children for their love and support during this adventure in writing. They put up will all the times when I thought I was going crazy and the tantrums when the numerous formatting problems almost made me give up. I also want to thank the wonderful readers who took the chance on a new writer. It means so much to hear of how they enjoyed reading the stories that I grew to love while writing them. I love hearing from them and getting to know each of them on a personal level. Their kind words in reviews or messages make the long, crazy hours spent completing a book all worth while. Lastly, I want to thank my fellow Indie Authors. Their wisdom and knowledge is a treasure that I'm thankful for everyday. Whenever I get stuck on a problem, I know I can turn to them for solutions and support. Thank you so much for talking with us, Linda. It was great getting to know more about you and your books. Dorothy, I want to thank you for this opportunity to be a guest on your blog and introduce myself to your readers. Happy Monday, everyone. Let's kick the week off with another interview, shall we? Today we're talking with author Joshua Hartzell. Welcome, Joshua! Tell us a bit about yourself. Talking about myself has always been my weakest point, and probably what holds me back the most as an author and a business man. I'm an Army Veteran, former Corrections Officer, and now I own and operation a Private Investigation and Protection Agency in Indiana. I'm also a motorcycle enthusiast, and spend most of my summers riding as much as possible. That in itself is important, if for no other reason, it is what lead up to my writing my first book. I've been writing since the summer of 2009. I started my first book with a friend of mine, Brian Kennedy, after we finished a ride that took us several days. It ended up being kind of a fun travel book for our home state of Indiana called "There and Back Adventures Through Indiana". It is poorly edited I'm afraid, but we were just a couple of friends having a good time, and did not realize that in self publishing we would not have it edited for us. Still, most people that read it seem to enjoy it. Let's talk about your current book. What's it called and what is it about? My latest published novel is called "The Bondsmen Midnight Murder". It is the second book in what I am turning into "The Bondsmen" series. In this one, the heroes, which are two bounty hunters, have to catch a deadly serial killer. Not only is this killer dangerous and deadly, but he believes himself to be a vampire, which leads to grizzly forms of murder. The bounty hunters, Jack and Ryan, race to stop this killer, and manage to save a would be victim or two along the way. With this last book, I had a couple of family members help with the editing, as well as using the editor provided by the publisher that this novel originally came out with. For me the hardest part of writing is definitely the editing. I enjoy the writing so much, but having to edit often makes me bored with what I am doing and causes me to take longer breaks between chapters. I keep a picture above my computer that I do my writing on of the first summer that my friend Brian and I took our first road trip. His wife took the picture at the first stop that we made of us standing next to our motorcycles. Riding is the most relaxing thing that I have in my life, and that picture is also a reminder of when and why I began writing. There are so many cool super powers to pick from, but if I could just pick one I would have to go with mind reading. It would make my job as an investigator so much easier. Quick writing test! Use the following words in a sentence: spider web, cantankerous, and windpipe. There was a cantankerous sore right around his windpipe that seemed to resemble a spider web. I would have to start by thanking my friend Brian, since he was the one that helped me start as a writer. Then my parents would have to be next. They have been unbelievably supportive of what I'm doing. Most importantly I want to thank everyone that reads and enjoys my books. Without readers there would be little point to publishing. All of my books can be found on amazon.com. Most online stores have at least a couple of my books. I also provide links to purchase my books on my business website www.amendinvestigations.com which goes directly to the publisher's store. I am easy to find on facebook and twitter, and am always happy to add new friends, chat, and answer any questions that you might have. Thanks so much for chatting with us, Joshua. It was great getting to know you. Good luck with your books! Ever hear of the Trevolution? 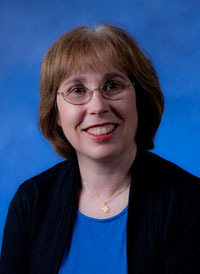 Today we're chatting with multiple-book author Susan Helene Gottfried to find out all about it. Let's dive right into the interview, shall we? I'm really quite boring. I write books. I take on select freelance editing clients. I'm a Boy Scout and a foster parent for a local no-kill animal shelter. I like to ride my bike, and I love to champion books. That's really about it. All my life. Seriously. I didn't even start to talk until I was able to form full sentences and paragraphs. You've got a lot of books out there. What are you working on now? I'm working on a bunch of things, actually. King Trevor is slated for an April 12, 2012 release. It'll be the follow-up to Trevor's Song. Then I'm planning on releasing Demo Tapes (Year 4) before moving on to a new set of characters. This doesn't mean Trevor's days are done. It just means I need to work with someone new for a bit. I now use a professional editor, but otherwise use whoever I can hoodwink into helping me get to that stage where it's ready for the editor. Nothing formal, although I hope that'll change one day. These days, it's making the time. Now that I'm an adult, with a house to manage and a family and all that, there are a lot more pulls on my time. Plus, taking on freelance work and the ever-present need to market myself... there's only so much time in a day. I do my best, though. Use an editor! Even if it's not me. A fresh set of eyes is always vital to your mission -- which ought to be putting out the best book you possibly can. Ooh, lots of them. I had a couple of college professors -- Reginald McKnight, Chuck Kinder, Phil O'Connor and Richard Messer -- who really inspired me to follow this writerly path. I'm inspired daily by the music I listen to, and to be honest, the things around me. It's not uncommon for me to pick up something and think, "Now, how would my character react to this?" 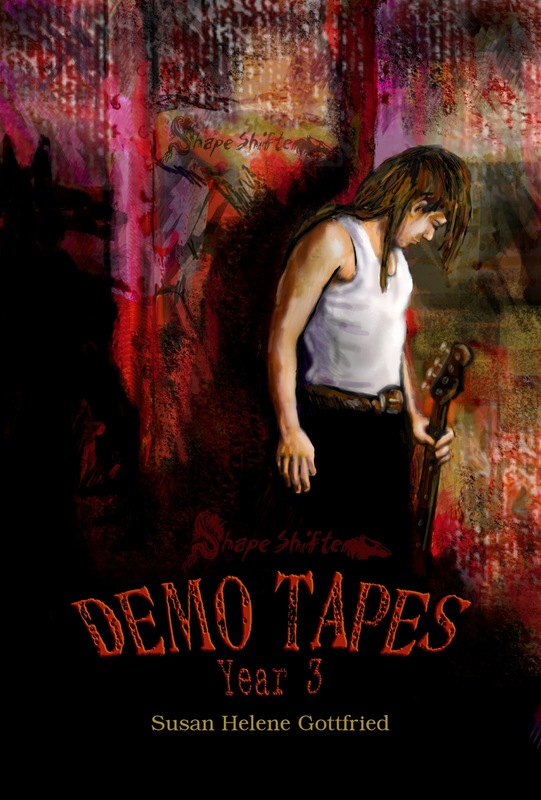 A lot of the stories now in the Demo Tapes anthologies came from exactly that prompt system. My radio, although that's not quite right. I have to have music on, and I usually fulfill that need by listening to Sirius-XM radio while I work. In the evenings, I'll flip on a hockey game and write or edit to that. Hockey games have great rhythm to write and edit to. Oh, wait. That's something I'm supposed to have in real life. Hmm. Then, I don't really know. I don't want x-ray vision 'cause I know what I look like under my clothes and to be able to see a whole world of that? No, thanks. Spiderman crawls up and down buildings, but what's the point when I'm usually at home in my office, writing? And wouldn't those web spinner things get in the way of my typing speed? Yeah, I'm not sure. I think I would like more patience. Sounds good, lol. Quick writing test! Use the following words in a sentence: catastrophe, apostrophe, and fee. The catastrophe of your apostrophe use can be easily fixed by me -- for a small fee. LOL, in any case, it was great. Here’s the part where you thank the people who are supporting you. Let's hear your shout outs. Oh, the people behind the West of Mars scenes know who they are. They hear about it. They hear from me (for both the better and the worse!). If I started listing them here, we'd be here for the next nine years. Let's just say I'm blessed to have a great support system. And that system now includes you, Dorothy! Aw, thanks so much! And finally, where can people find you and your books online? I'm at West of Mars. If you're too lazy to use the link -- http://westofmars.com -- then Google it and watch what happens. The Meet and Greet is the fancy name for my blog, and here's the link to the books page: http://westofmars.com/west-of-mars/the-books. You can also link over to my short story page from the books page. I'm on Twitter as @WestofMars. My Facebook fan page -- which I use way more than I use my personal page -- is http://facebook.com/WestofMarsFans. Are you seeing a theme? It's all West of Mars, baby. But you can also pick up the books at any and all of the usual outlets: Amazon, B&N, Smashwords. Even Powells, Kobo, Chapters, the Apple Bookstore... I'm trying to make it as easy as possible for you to pick up my books. The royalties are nice. The fans are even nicer. Thanks so much for letting us get to know you and your books, Susan. It's been fun, and I wish you tons of success! Thanks for having me today, Dorothy! Really, I do hope you'll become a more permanent part of the West of Mars family!